Wesley Hibben has been making knives since he was eight years old, having learned the craft of knifemaking from his father, Hall of Fame knifemaker Gil Hibben. Wesley Hibben makes a variety of knives including fantasy, hunting and tactical knives. He spends his time knifemaking and teaching Kenpo Karate in Anchorage, Alaska. 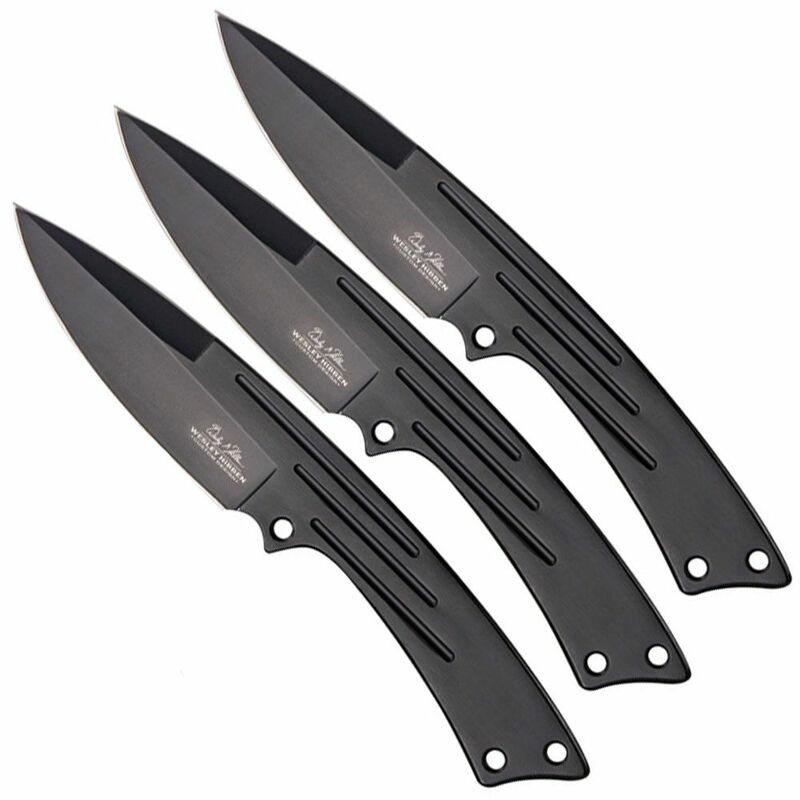 With a sleek, futuristic styling, this set of three throwing knives not only look great, but throw perfectly as well. Each knife is constructed from one solid piece of AUS-6 stainless steel with a corrosion resistant, non-glare black coating. 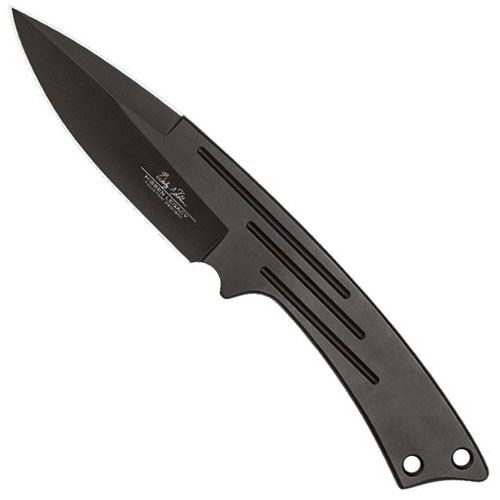 A double-edged blade has been laser etched with the Wesley Hibben Custom Design logo and the handle features grooves for aerodynamic performance. 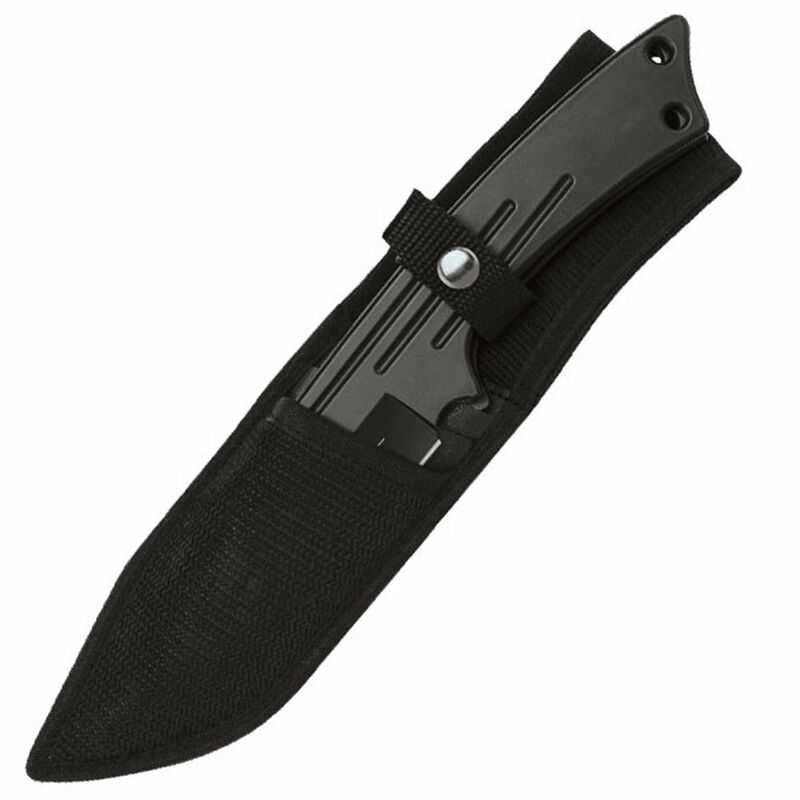 Each set of three knives is perfectly balanced and includes a durable nylon belt sheath for carrying your new Wesley Hibben Cloak Throwing Knives.